Official website of author Amy Sparling: The Immortal Mark is available for Pre-order! The Immortal Mark is available for Pre-order! It's almost release day for my new paranormal romance series, The Immortal Mark! Until then, you can pre-order it now and have it automatically delivered to your Kindle on release day. 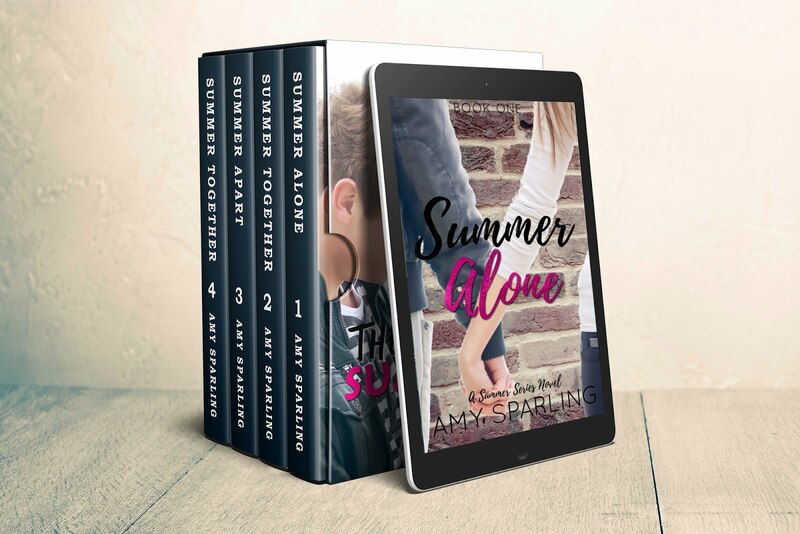 From the bestselling author of Summer Unplugged, The Immortal Mark is the first in a new paranormal romance series by Amy Sparling. The only thing Cara got for her eighteenth birthday was an unexpected invitation to move out of her uncle’s house. College isn’t an option for a poor girl with average grades, so when her best friend Riley finds them a mysterious job opportunity that includes room and board, Cara is interested but thinks it sounds too good to be true. The night before their interview, Cara has an epic night out with Theo, an impossibly handsome guy she just met. He’s charismatic, a little mysterious, and it feels like she’s known him her whole life. When she runs into him at her interview, he’s cold and elusive. He makes it very clear that he doesn’t want her working with him, which only makes their mutual attraction burn hotter. Cara takes the job for Riley’s sake and promises herself she’ll avoid this jerk and his mood swings, no matter how hard it is to keep away from him. Soon she finds out her millionaire employers aren’t normal guys who live and travel in luxury. They’re immortals. Theo wasn’t trying to ruin her job prospects. He was trying to save her life, because the girls they hire never make it out alive.